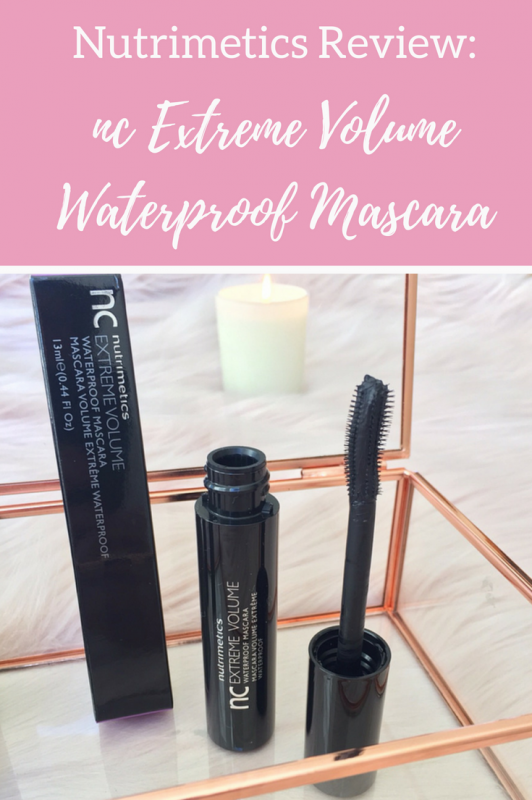 nc Extreme Volume Waterproof Mascara. Regular readers of Fabulous and Fun Life would know that I am a huge fan of Nutrimetics skincare. I recently compiled a post detailing 50 uses of the iconic Nutrimetics Nutri Rich Oil HERE. Today’s post will be reviewing Nutrimetics makeup, more specifically, Nutrimetics mascara. Mascara is an item of makeup that I always wear. It has the ability to improve my look so much by giving me longer, bolder, thicker and more dramatic lashes. This in turn opens up my eye area and makes me look more youthful! Thus I was excited to trial these two new Nutrimetics mascaras, the nc Extreme Volume Mascara and the nc Extreme Volume Waterproof Mascara. The nc Extreme Volume Mascara formula is amazing! It is an ultra creamy jet black formula that feels weightless on the lashes. It’s enriched with lash loving jojoba which hydrates and strengthens the lashes whilst the mascara beautifies them. I’m loving the design of this mascara brush with its oversized curved and tapered bristles. The best way to apply this mascara is to wiggle the wand from the lash roots to tips, pulling up and outwards. The unique curved brush fully coats the lashes for extreme volume and separation. The tapered curve helps to reach all the roots of the lashes while the longer bristles on the underside of the brush help to fan out the lashes. I’m really happy with the results I achieved with two coats of this mascara. My lashes appear thicker, longer and more curved with great definition. I can confirm that this mascara does deliver an intense and volumised lash look as promised. I’ll be continuing to use this mascara on high rotation for the next three – six months it lasts me and will definitely consider buying a replacement once this one is depleted. To be honest, I don’t regularly wear waterproof mascara because of the extra effort usually required to remove it. I feel normal mascara is gentler on my lashes and removing it is also gentler on the delicate eye area. I thus tend to save waterproof mascara only for occasions when I think I will need it’s waterproof function, such as at tear-jerker movies and other sad occasions when there is a chance of tears flowing. If I’m exercising with makeup on, which is very rare as I usually prefer to exercise makeup-free, I will also wear waterproof mascara. 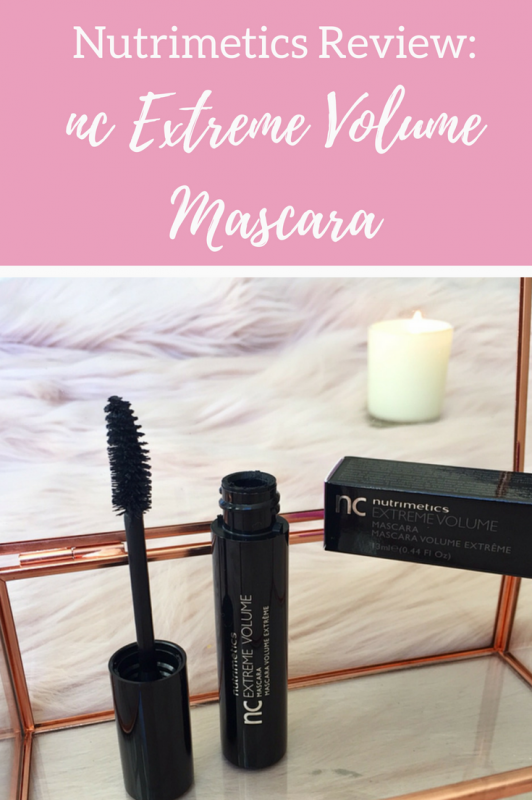 Now moving on to my review of this mascara, I was pleasantly surprised to find the nc Extreme Volume Waterproof Mascara formula to be very similar to the non-waterproof one, possibly because it also contains jojoba. Like the non-waterproof version this one was also ultra creamy and felt equally as weightless on my lashes. The nc Extreme Volume Waterproof Mascara’s brush looks very different to the non-waterproof mascara’s brush so there’s no mistaking which mascara brush you’re using. This one as photographed above has a curved moulded brush with shorter bristles. I’m not sure what the reasoning is for the different style of brush but I did find this brush to be very effective with the flexi grooves catching, separating and fully coating my lashes. The results on my lashes were also similar to those achieved with the other mascara. My lashes were beautifully maximised to a full volume lash look. To remove this waterproof mascara with no pulling or rubbing or loss of lashes I used a cotton wool ball soaked in an oil-based eye makeup remover, held it against my lashes for 30 seconds and then gently wiped my lashes with it. I had no difficulties removing this waterproof mascara in this manner, it was so much easier than I had anticipated. As I mentioned earlier I’m not a big user of waterproof mascaras but I’m definitely happy to continue using this one as needed. Both these mascaras are available to purchase via the Nutrimetics Website http://www.nutrimetics.com.au. Having recently written a guide about Vegan Lipstick I am now receiving queries about whether the other makeup items I am featuring are vegan also and whether they are cruelty free. 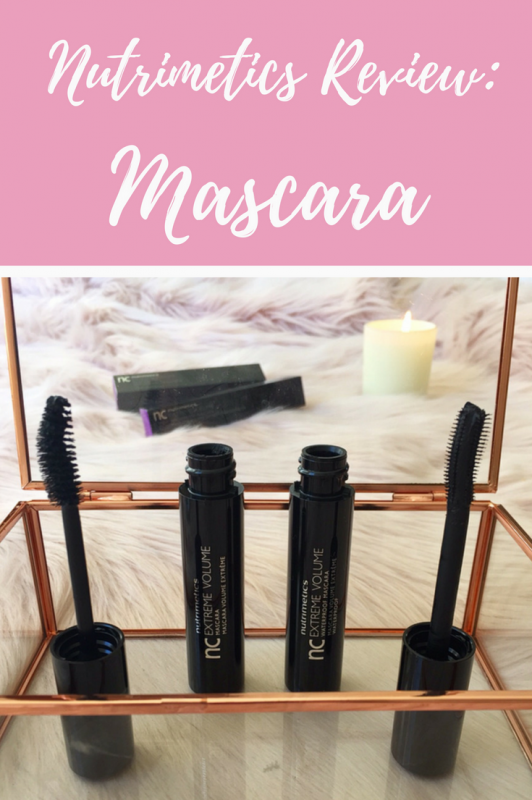 Although on their website Nutrimetics state their products are ‘free from animal-derived ingredients’ both of the mascaras reviewed in this post do contain bees wax (cera alba). As a result I would not classify these two mascaras as vegan. In answer to the recent questions I received ‘Does Nutrimetics test on animals?’ and ‘Is Nutrimetics cruelty-free?’ the answer according to the Nutrimetics website is that Nutrimetics does not test on animals. Do you use Nutrimetics make up or Nutrimetics skincare? What is your favourite Nutrimetics product? * The above Nutrimetics mascaras were kindly gifted to me for editorial consideration. All opinions are my own. Full disclosure policy here. Great post. 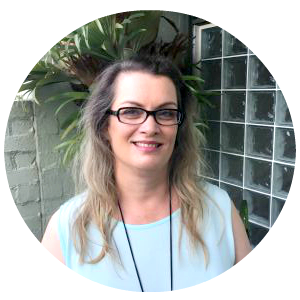 I haven’t worn mascara in ages and in the past I wore whatever I found – which was often something I’d received free a decade (or more) before…. and even I know that’s not a good thing to do. I need to try a new mascara. I’d been so happy with my Cover Girl for years and years but (a) I can never find it on the shelves anymore and (b) when I do, I find it’s just not lasting and my lashes seem short and lifeless. I’ve been thinking of getting extensions but not sure about the cost of upkeep. Have you ever tried extensions or know anyone who has? My eyes are super sensitive so I’ve always been wary of getting extensions but I know others who have them and swear by them. Great mascaras, Ingrid. Will definitely give Nutrimetics a look when I’m out of my current ones. They’re Maybelline and L’Oreal, not sure about their vegan status or animal testing policy unfortunately. I can highly recommend these Nutrimetics mascaras. 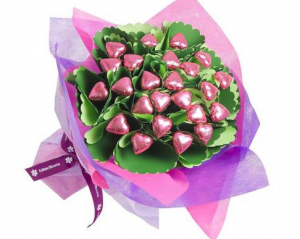 I’ve been advised they have a special price currently until the end of July as an Introductory Offer. I like the fact that Nutrimetics don’t test on animals. 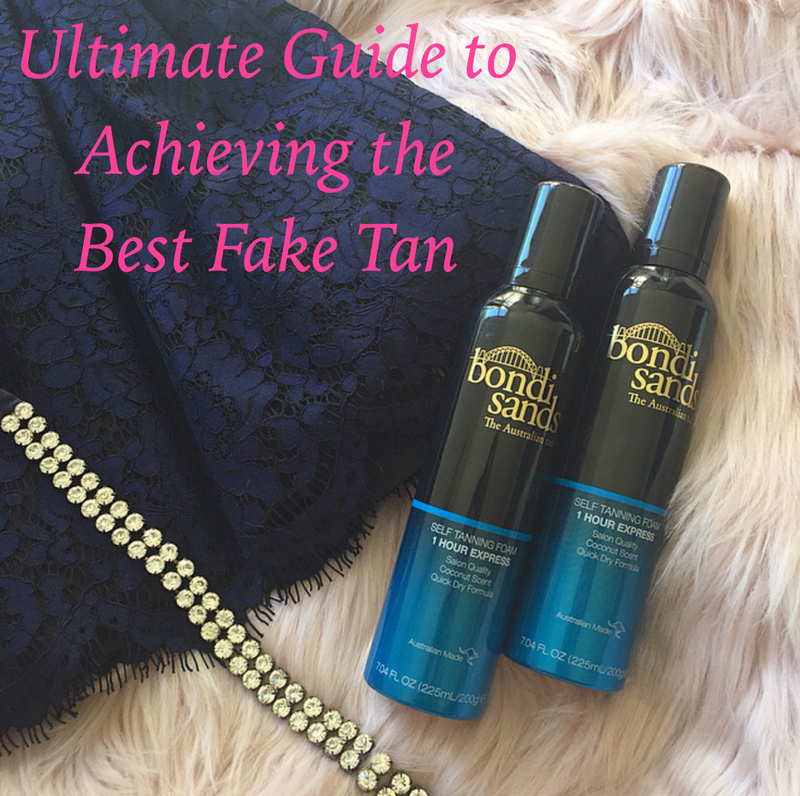 These days I rarely rare make-up, but always wear a tinted moisturiser and a mascara. I’m also going for more volume these days. Thanks Ingrid. My no makeup days still do usually involve mascsara and lipstick!